PstReader Pro is a complete Windows software package for working with Outlook .pst and .ost email files. 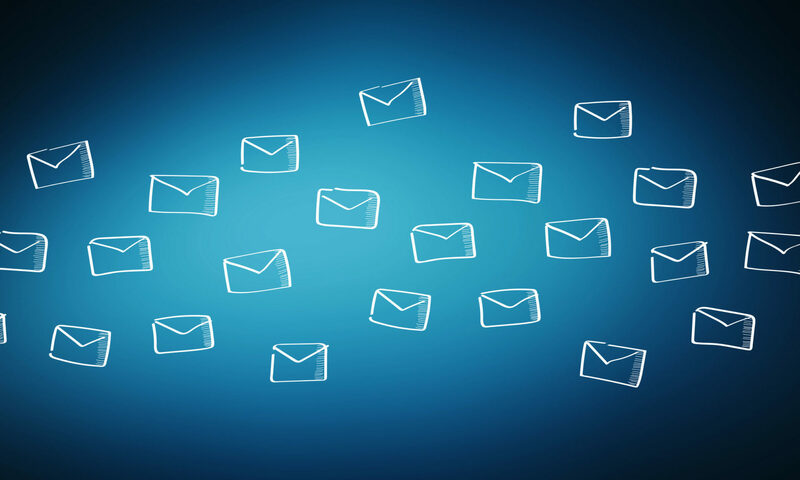 Outlook saves emails into a .pst and .ost file database. It contains all of your emails, attachments, contacts, notes, and more. 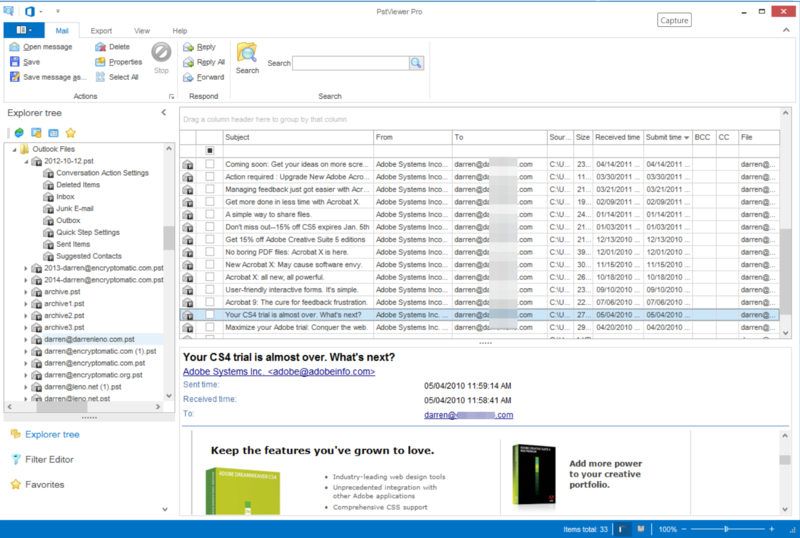 Pst Reader Pro lets you search these messages, and then export them to different file formats, including the useful PDF format. Pst Reader for Windows. Free 15 Day Trial. To use PstReader Pro, first select the .pst file you want to open. This can be done using the Explorer window on the left hand side of the page. Click the pst file and PstReader Pro will begin loading the emails into the list. Once emails are fully loaded into the mail list, there are two additonal methods you can use to refine the emails that are displayed. The first approach is to apply a search operation. Search will remove any emails from the list that do not match your search criteria. The second method, which is recommended, is to filter the results in the list. Click the “Filter Editor” to design and apply a filter. There are many way to design a filter, and the best way to learn is just to jump in and begin setting up filters. You save any filters you create for future use on different .pst emails. You can also delete filters that you no longer need. Filtering results can quickly help you locate the emails that you need. Filters can be saved for later use, and even edited. Download a trial of PstReader Pro and try it free for 15 days.